As you can see from our trade example, trading forex can be extremely risky. Like doing anything that takes risk, however, you can take precautions to try to minimise its impact. In forex trading, there are simple things you can do to help you manage your risk. Sometimes prices move quickly and unexpectedly, especially when a major economic announcement occurs. This makes markets volatile. While volatility can provide trading opportunities, it can also bring significant risks. There is no way to avoid volatility in the market, but Tradefair offers a number of tools, including order types to help you exit the market when the going gets rough and protect your position. A limit order specifies that a trade must be executed at a specific price or better. Traders typically use limit orders in an attempt to capture profits and exit a position - however, they can also be used to enter a position. A stop order is used to enter or exit the market at a particular price. Depending on market volatility, execution and price are not guaranteed. Stop orders are commonly used to set an exit point for a losing trade to try to limit risk. Like a regular stop order, a trailing stop is set a specific number of pips away from the current market price. When the market moves with your position, the stop setting automatically changes so that it 'trails' the current price by the number of pips you set. When the market moves against your position, the stop remains set at the last trailing price reached when the market was moving your way. You can use this to protect profits without limiting potential gains. A P&C order allows you to set up an entire trade - including stops and limits - in just one step. You can select this order type in the Tradefair platform. P&C orders are a great strategy and are commonly used to protect potential profit and guard against potential loss. When market movements cause the parent order to be executed, the contingent orders become active until one is filled. P&C Orders are often set as OCO orders so that when one of the contingent orders has been filled, the other is automatically cancelled. These orders guarantee execution at your specified price when you place a P&C order. Available in Tradefair Pro, this order type requires an extra charge and is not available for all markets. In Tradefair Pro, you can use a scale-out order to exit (as well as enter) a trade in increments. When you select this order type, you can place multiple OCOs to open or close a multi-lot order. Unlike most traditional financial products, forex trading is a leveraged product. This means that your initial deposit payment gives you exposure to a comparatively larger portion of the underlying market than if you bought the instrument directly. This also means that FX trading can result in losses that exceed your initial deposit. And without good risk management, it becomes possible to make significant losses over a short period of time. It is therefore important to understand risk and learn how to manage your trades effectively. With forex trading, you can trade popular currencies, such as the euro and yen, as well as exotic currencies, such as the Thai baht or Polish zloty. Whatever type of currency you trade, you should carefully consider the nation's political climate. Government regulations on currency trading as well as social turmoil or drastic changes in a political climate can cause extreme volatility in the forex market. You can minimise the possibility of these risks by monitoring current events. This is one of the reasons why Tradefair offers a variety of news resources within our platform and social media feeds. Sometimes, the factor that determines how successful your trade will be isn't the amount of research you did, but your mindset at the time. Even if you have a losing trade, resist the urge to enter another trade to win your earnings back. A good trading plan is crucial to your trading success. Not only will it help you meet some of your goals, it will define the way you trade, what you're willing to risk and how you will protect yourself when a trade doesn't go your way. We can't give you a permit to trade, but we can help you get plenty of practice. Put your trading plan to work in real market conditions with a risk-free FX practice account. You'll get a chance to see what it's like to trade in real market conditions, while also taking your trading plan for a test drive - without risking your capital. 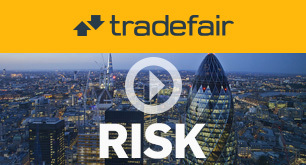 Tradefair offers free, no- risk practice accounts so you can get a feel for the markets and our trading platforms.